Mobile processor MediaTek Helio X30 will be based on the smartphone Meizu Pro 7 was officially presented at the international exhibition MWC 2017 in Barcelona. Generally correct to say not only the processor and the “system in a single chip” (SoC), which includes virtually all necessary for the components of the mobile device. There is the actual CPU, memory controller, graphics accelerator, the image processor, the cellular modem and etc. As for the new Helio X30 will be installed inside the Meizu Pro 7, this chipset is made for the modern 10-nm technology. According to representatives of MediaTek, it has a 50% better energy efficiency and a 35% greater productivity. Thus, we expect from the future Pro 7 speed Samsung Galaxy S8 is not necessary, however, the same Huawei P10, it is quite able to theoretically “outdo”. Moreover, in a number of points used in it, Helio X30 remotely resembles Kirin 960. 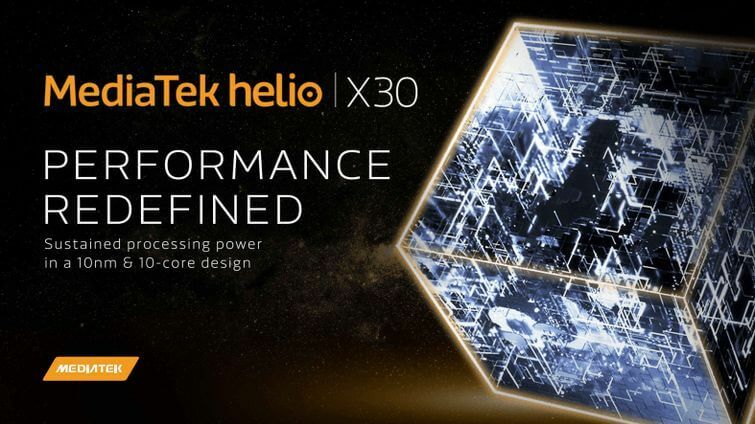 So, Helio X30 uses the ARM Cortex A73 core @ 2.8 GHz. They are complemented by two clusters: energy-efficient four core ARM Cortex-A53 at a lower clock speed of 2.2 GHz and four completely “silent” Cortex-A35 with a frequency of 2.0 GHz. Thus, in single-core mode, Meizu Pro 7 has the potential to “drag” Huawei P10, which ARM Cortex A73 clocked at 2.5 GHz, and in multi-core mode. According to representatives of MediaTek, the Pro 7 must be an excellent “game phones” thanks to a new graphics accelerator PowerVR 7XTP-MT4. It has a 2.4 times higher performance than the ARM Mali-T880 MP4, used in last year’s Helio X20 / X25. Also, it consumes 58% less energy. It is worth noting hardware encoding/decoding 10-bit video format 4K2K HDR10, proprietary technology resource allocation CorePilot 4.0, the controller fast flash memory UFS 2.1 and official support platform VR-Google DayDream. Built-in modem Helio X30 in Meizu Pro 7 provide support for 4G LTE Category 10, which means the speed of downloading data at speeds up to 450 Mbit/s (if the operator of appropriate equipment and sufficient quality of a connection) networks. Thanks to the new chipset Meizu Pro 7 can receive up to 8GB of RAM, it will be 4 or 6 Gb. Theoretically, as the smartphone can be equipped with a primary camera with a resolution up to 28MP, or double 2 x 16MP. We are waiting now the comments from Meizu.